Vol.1: The first three texts in the collected works span the world's literature. The epic of Gilgamesh - created in the Sumerian cradle of civilization - is the earliest story we know, yet contains the deepest question man can ask: `How can I transcend death?' The story of Marouf the Cobbler is an oriental tale taken from the works of Sir Richard Burton, the great Victorian explorer, and is dedicated to the genius of that world-renowned story-teller, Scheherzade. Goethe's `Faust' needs no introduction. The translation of Part One in this collection is pungent and unusual. 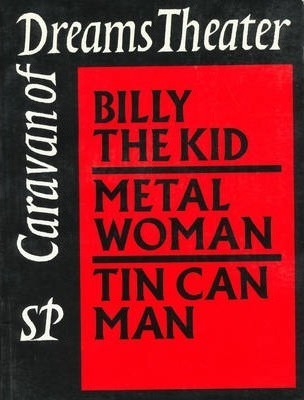 The Caravan of Dreams Touring Theater - also known as the "Theater of All Possibilities" - was founded in 1967 by director Kathelin Gray, and dramaturge Johnny Dolphin.